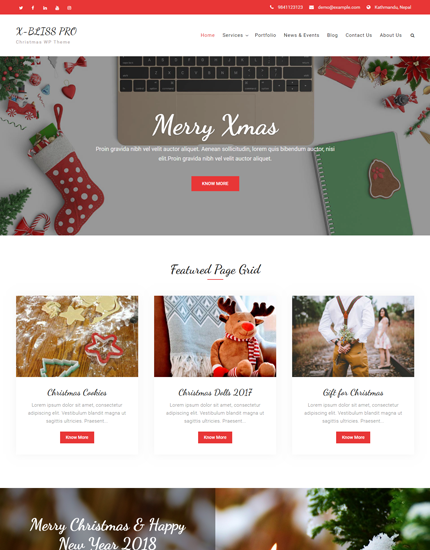 X Bliss Pro is a clean and elegant holiday WordPress theme. It has several options for customization, making it an excellent choice for any business, and not bound to holiday specific website only. Without any prior coding knowledge, you can easily setup your site, due to its flexibility and easy to use characteristic. It will be well suit for your website to promote both you and your business with a modern and unique design. It is a theme with power and flexibility that also offers a simple approach to building your website. Comparision between free and pro version. With the innovative WordPress Live Customizer, you will be able to preview the changes made to your WordPress website in real time before pushing them live. Our themes are natively compatible with the world’s favorite ecommerce plugin, WooCommerce. As an online store owner, attracting customers and selling products will be lot easier. Our themes offer breadcrumb trails that present the visitors with information on where they have navigated and how to conveniently return to a page they visited before. Good typography improves readability and the time users spend on your website. Our themes support multiple Google fonts and you can even customize them. Multitude of layout options enable the users to change the look and feel of their website by adjusting sidebars in a different position for a specific page or post. In our themes, users have the option to edit the footer credit text, like ‘copyright’ and ‘powered by’ text, which is shown at the bottom of a website to align with the goals of their website or blog. Our WordPress themes have simple yet powerful theme options. Users can customize various aspects of their site, from colors and layouts to widgets, menus, and more. The responsive design of our themes offer optimal user experience across various devices and screen resolutions including desktop computers, tablets, smartphones and other mobile devices. Use our widgets to transform your website. They allow you to add static and dynamic content in the widgetized areas such as sidebars and footers. We strive to provide top-notch tech support to all of our customers. With our seasoned support staff, you can rest assured that you’ll have your blog up and running in no time. You can make your own child theme without editing the parent theme code and without any fear of losing your changes on update. Our themes include powerful color pickers to change color throughout the entire theme. Moreover, you have the power to change from pre-defined color skins with one click! The threaded comments option are a great way to help your readers follow the discussion on your WordPress blog. This option also makes replying to comments a cinch. You can easily add drag-and-drop menus with our themes. They help users find information and browse through different sections of your websites. Though English is the default language of our themes, you can also translate them to your native language, for our themes are translation ready. 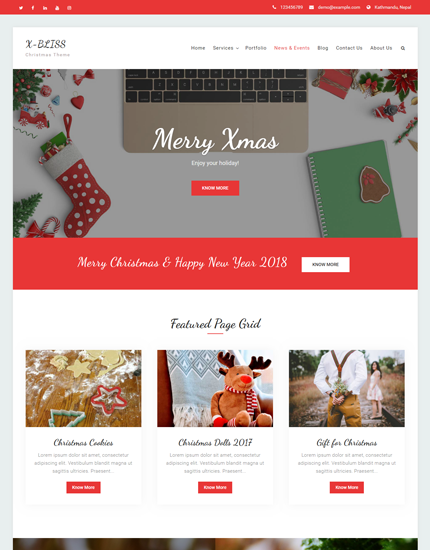 Custom headers allows you to add an image of your choice to serve as the representative image of your website in the theme top header section. Our themes support custom logos. Further your brand by uploading an image which will serve as the logo to your website, via the customizer. We ensure that all of our themes are compatible with the popular internet browsers. It’s important that your website performs well for everyone who visits it. All of our themes support custom menus. Custom menus will guide your visitors to the content they’re looking for on your website.